The Outer Circle was built during the Melbourne land boom of the 1880s. Money was no object, and greedy capitalists saw the Colony of Victoria as a valuable investment opportunity. 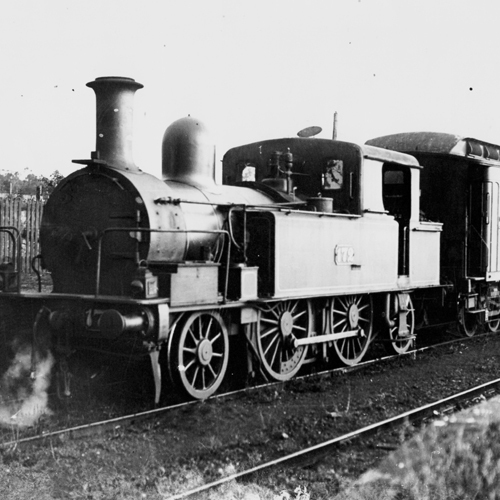 It was originally intended to bring goods trains into Melbourne from Gippsland. But after the State Government purchased the Melbourne & Hobson's Bay United Railway Company there was no longer a need to build the Outer Circle. Almost no-one lived along the proposed route of the railway; it was built through open bushland, paddocks and orchards, connecting Oakleigh with Fairfield. The railway from Oakleigh could be brought into Melbourne via an 'outer circle' route. The Outer Circle was intended to circumvent the privately-owned railways to Hawthorn, Elsternwick and St Kilda. These were owned by the M&HBURC and the Graham Berry government thought it would be cheaper to build its own railway, connecting Oakleigh with the (soon to be built) Heidelberg line, on today's Hurstbridge line. And paradoxically, the sooner it was built, the less it would cost. In 1878 the government finally purchased the M&HBURC for £1,320,820 and finished building a direct line from Oakleigh to Melbourne. At this point, there was no longer a need to build The Outer Circle. In 1884 the James Service government passed ambitious legislation which authorised the construction of no less than 65 railways throughout the Colony of Victoria. One of these lines was the Outer Circle. by May 1897, after running for just 6 years. instead, trains worked in sections from Oakleigh to Waverley Road, Waverley Road to Camberwell, and Riversdale to Fairfield Park. during the Outer Circle's construction. on New Year’s Day, 1889. These were Waverley Road, Ashburton, Hartwell (modern-day Burwood), Riversdale, Shenley, Deepdene, East Kew, Willsmere and Fulham Grange. as reported by John Monash - although later estimates were as high as £414,270. Website hosted and maintained by Shack West P/L. All images, text and other content (c)opyright 2014 Evolving Communications and Shack West. All Rights Reserved.